I love reading. There’s nothing like getting lost in a good book. And how lovely it is to travel by book. Last year when we visited Italy I got a little bit obsessed with being immersed in all things Italian. That included finding books to read that were set in Italy. Happily I found a series of novels in which Venice is a major character. Writer Donna Leon is an American academic who has lived in Venice for over 25 years. She has written 21 books featuring the character Commissario Guido Brunetti. And all are set in Venice. Guido Brunetti is a Venetian heart and soul. He loves his city. Each book follows Brunetti as he investigates a crime. Along the way he encounters politics, corruption, child abuse, illegal immigrants and other contemporary concerns. One of Brunetti’s most endearing qualities is his love of family. His wife Paola is a major supporting character and the food and wine the family enjoy is always described in delicious detail. Just as much fun is following where he stops for coffee or a drink or what he might have to eat for lunch. Each book has a map of Venice at the front marking places relevant to the story. I love to look back at the map and check where in Venice Brunetti might be. Especially if it is somewhere in Venice I have been. When Brunetti and his colleague caught the vaporetto to the Zattere in the Dorsoduro neighbourhood I knew exactly what they were seeing as we had stayed just around the corner. 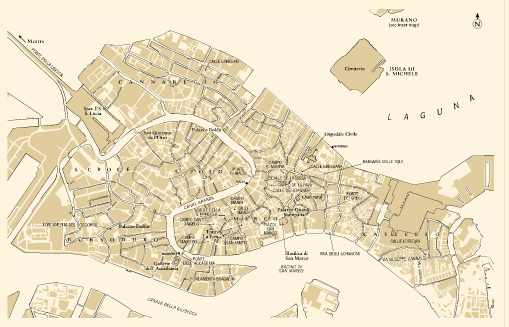 Donna Leon’s UK publisher Random House has a fantastic interactive map of Venice where you can click on different locations and read an excerpt from the corresponding book. 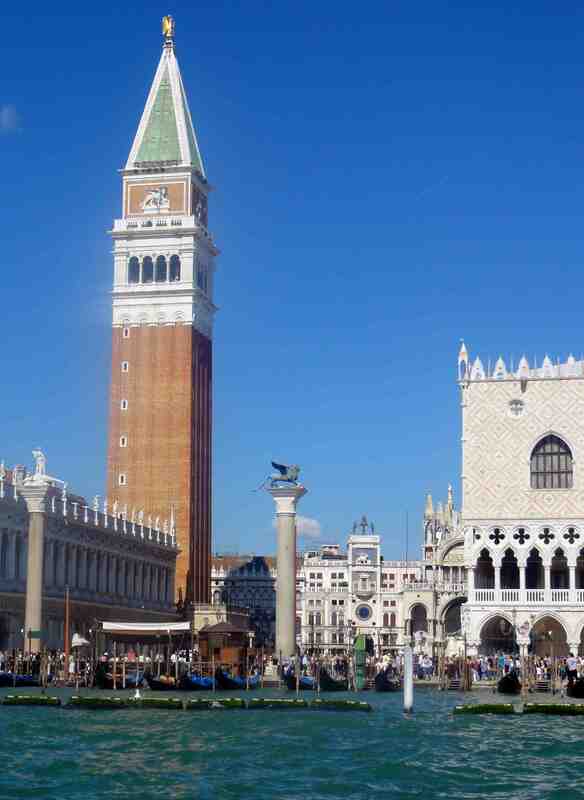 Find the map of Donna Leon’s Venice by clicking here. 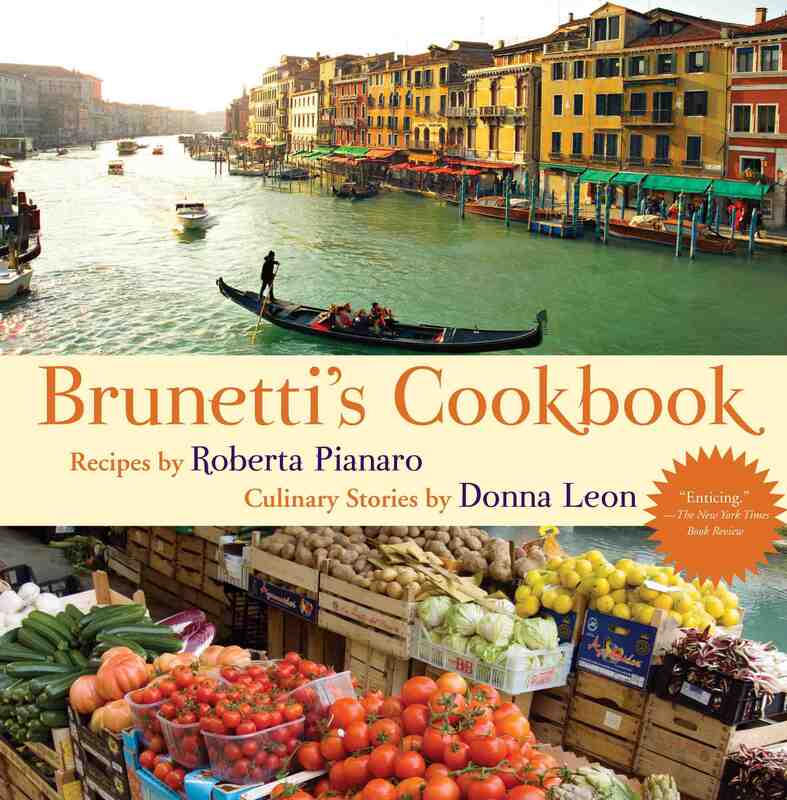 Yesterday I was looking at Donna Leon’s website and found that a “Brunetti’s Cookbook” has been published. I’ve ordered a copy and can’t wait for it to arrive. Wonder where else in the world I can travel by book? 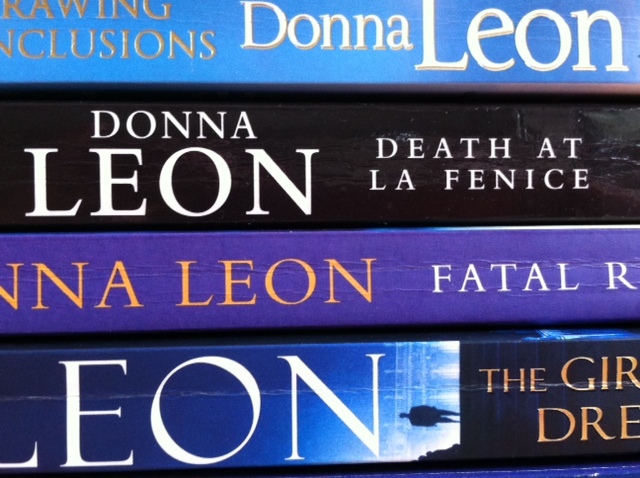 Donna Leon’s website click here. Lizzie’s Literary Life has set a lovely challenge – Around the World in 80 Countries. Lizzie is reading books set in 80 different countries and has mapped her reading journey thus far on her blog. What a beautiful journey you took us all on, I look forward to some recipe pictures when you get the book. Thanks Su. Can’t wait to try some of the recipes as the food eaten in the Brunetti books is always described in great detail. Yum! I love travel books, some indeed make you feel like you are there again and if you haven’t been yet for sure they provide good inspiration to go. Thanks Freya. Yes so true.